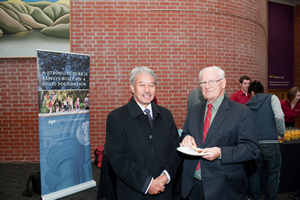 WELLINGTON, 17 Sept 2012 – Nineteen of the 42 high impact innovations and projects from universities and research institutions identified by the Malaysian Innovation Agency (AIM) with a three-year sale potential of RM378.3 million are from The National University of Malaysia (UKM). 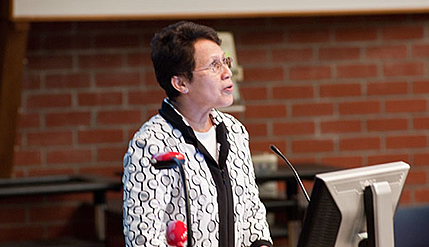 Vice Chancellor, Professor Tan Sri Dato’ Wira Dr Sharifah Hapsah Syed Hasan Shahabudin giving her Saad lecture at the University of Victoria here today said the projects were developed under UKM’s Business Opportunities Innovation programmes. 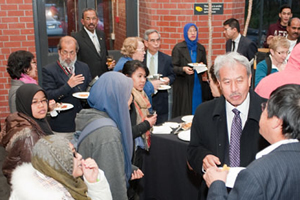 The Saad lecture is an annual series of lectures organised by Victoria University’s Malay Studies Research Centre which established the Chair of Malay Studies in 1996. The founder of the Chair is Emeritus Professor Hood Salleh of UKM and the current Chair, Professor Dr Wan Rafie was a pioneering member of the Department of Psychology and former Dean of the Faculty of Social Sciences and Humanities at UKM. Prof Sharifah Hapsah also outlined the move by UKM to develop Innovation and Entrepreneurship (I&E) culture as its core academic value which needed a major mindset change among the academic faculty, students and administrators. UKM, she said, is committed to producing innovative graduates, particularly engineers, scientists, inventors, product development experts as well as entrepreneurial managers or a CEO talent pool to harvest the value of university start-ups. Researchers and students were assisted with prototype development as well as business models which can attract investors. Start-up companies owned by the university and investors were launched by CEOs, with benefits to participating institutes, faculty and students. The university had also focused its work in eight major interdisciplinary research areas encompassing issues of national and global significance, such as climate change, regional sustainable development, biodiversity and biotechnology, nanotechnology and advanced materials, medical and health technology, renewable energy, visual informatics and challenges of building a nation state. She said Malaysia depends on research universities perhaps more than any other single factor for its Innovation Economy. Technological innovation is now more important than ever to help advance the country into a high income developed nation status by 2020. 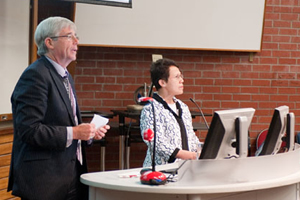 Prof Sharifah Hapsah said Malaysia’s association with Victoria University has been longstanding and most rewarding, since Victoria University has educated a remarkable number of Malaysian students who are now serving the nation as the New Zealand university’s distinguished alumni. She said partnership between the two institutions is important in creating a new generation of innovative undergraduates and post-graduates for technology and the humanities. Both research universities had contributed to their respective nation’s development saying that Victoria University has a magnificent history of contributions in many areas compared to UKM which is a young university. 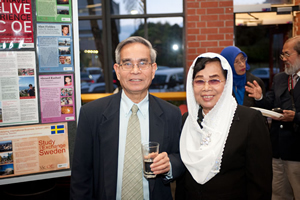 She added that she had followed with interest the activities of the Malay Studies Research Centre for a number of years now and considered it to be successful at promoting cross-cultural academic research and understanding. According to the QS World Ranking of Universities 2012, Victoria University is ranked 237, while UKM is ranked 261. In compiling the list the QS ranking system looks at some 2,000 of the world’s more than 10,000 universities.